Which is the "Right" Zodiac? I get questions on a regular basis about the various zodiacs used in astrology. 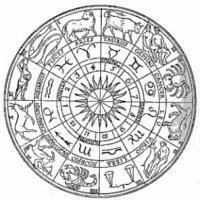 The zodiac most used in Western astrology is called the "tropical" zodiac. This zodiac is based on the point of the vernal (spring) equinox, which actually moves very slowly in relation to the fixed stars in the sky. There are a variety of other zodiacs known as "sidereal" zodiacs, with such names as the "Fagan-Bradley," "Lahiri" or "Krisnamurti" systems. These sideral zodiacs are all generally based on some alignment with a particular star or other fixed point in the sky and, unlike the tropical zodiac, they are unmoving over time. All of these various zodiacs can be confusing to non-astrologers. Why is there more than one zodiac in the first place? Does this mean that a planet is in many places at the same time? Which zodiac is the "right" zodiac? The answer to that last question is actually that all of these various zodiacs are correct, in terms of measuring exactly a planet's location. At any point in time, a planet can only be found in one single place. The difference among tropical, Fagan-Bradley, etc., zodiacs, is simply a difference in the way of measuring where that place is. Each one of these zodiacs begins at a different starting point, and so when they name where the planet actually is, they give it a different name. But the planet is only in one place. For example: I may say, "Rome, Italy, is 500 km from my house." You may say, "Rome, Italy, is 800 km from my house." Rome is only in a single place, but we give it different names because we are starting the measurement in different places. The planetary positions are measured as 360 degrees around the zodiac circle. The first 30 degrees (0-29) of that circle is called "Aries," the second 30 degrees (30-59) is called "Taurus," etc. So if a planet is at 37 degrees through the circle, you would say it is a "7 degrees of Taurus." It has moved 30 degrees through Aries, and then the first 7 degrees through Taurus. Where these systems differ is that each one of them places the 0 degree point at a different place in the sky. Some align it with a particular star. The tropical zodiac, as noted above, aligns it with the point of the spring equinox, which gradually moves against the backdrop of fixed stars, thus moving the entire tropical zodiac along with it over time. Every zodiac system defines its starting point in a slightly different way, and then begins counting 0 degrees of Aries from that point. So if one system is 10 degrees off from another, then a planet at 37 degrees would be at "7 degrees of Taurus" in one system, but at "27 degrees of Aries" in a system which began 10 degrees earlier around the circle. So these are just differences in naming and in where to place the starting point for measurement. At any given time, a planet is found in the same physical location in space in all of the sytems, but each system simply calls that "same location" by a different name, because they measure it from a different starting point. Most astrologers use a single system of measurement for all of their work, because this allows consistency. In other words, they don't mix the tropical with the Fagan-Bradley, etc. They select one system and use that one. All of the systems are correct in terms of measurement, although some have different ways to interpret the meanings, etc., of the various locations. If you Google "tropical zodiac" and "sidereal zodiac" on the Internet, you can find a lot more details about these different measuring systems. And if you visit our sister site at CurrentPlanetaryPositions.com, you can use the planet position calculator to compare the positions of the planets under several different zodiac systems. Remember -- the planet is in the same place, the systems are simply measuring that place from a different starting point! This article copyright © 2017 Ed Perrone. All rights reserved. Reproduction without permission prohibited. Ed Perrone is a former astrological consultant and writer, and a pioneer in the development of online services for astrologers. He is the owner of MyAstrology.net and several other websites, as well as a programmer who has designed and developed websites for numerous businesses, astrological and non-astrological, around the world. He is also a composer and musician.